Michael teaches Tanakh and Halakha at the Pardes Institute of Jewish Studies in Jerusalem and serves as the Coordinator of the Beit Midrash for the Pardes Center for Jewish Educators. He studied for semicha at Yeshivat Har Etzion and holds a professional degree in architecture from the University of Toronto. Michael is the author of “Passages: Text and Transformation in the Parasha”, published by Urim Publications in 2012 as well as “Joshua: The Challenge of the Promised Land”, published by Koren Publishers in 2015. 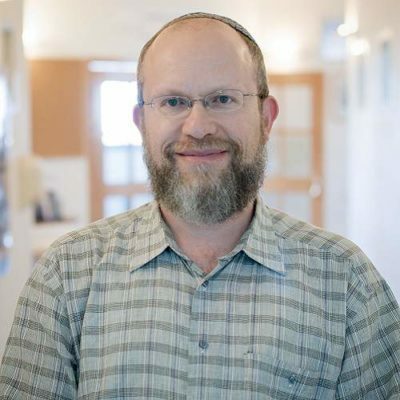 He has served as scholar-in-residence in many communities in North America and Europe and lives in Alon Shevut with his wife Rivka and their five children. Online learning: Click here to view online learning material from Michael on Elmad, online learning powered by Pardes. Passages: Text and Transformation in the Parasha. To purchase within Israel contact michaelh@pardes.org.il. For purchases outside of Israel click here. Online Articles: Articles on Parasha, Sefer Yehoshua and Sefer Shoftim at the Virtual Beit Midrash.